Help Nazifa get to Champs! Our Head of Electronics, Nazifa Prapti, was nominated as a Dean's List Award finalist! The Dean's List award is a highly prestigious and competitive award, celebrating outstanding students with great leadership skills and exemplary qualities. 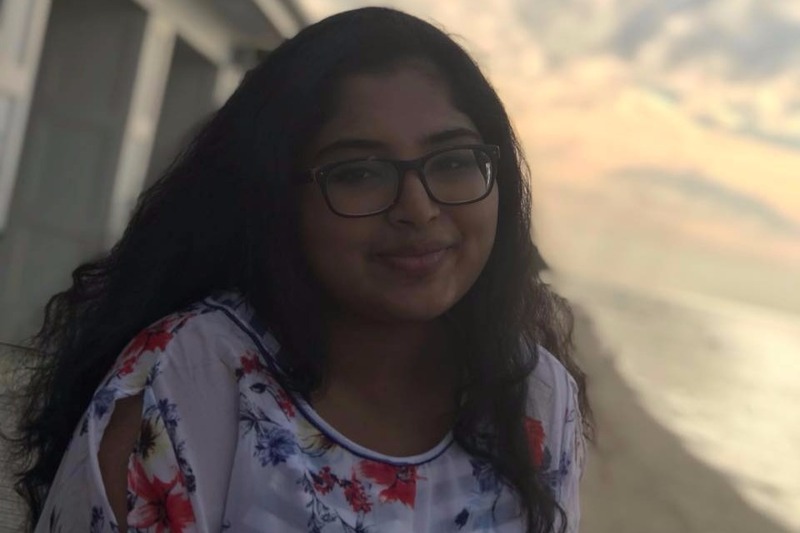 At the 2019 NYC Regional, Nazifa was nominated for this great award, making her one of the finalists for New York State! The Sentinels are Benjamin N. Cardozo High School's Robotics Team. We compete in various annual robotics competitions against high schools across the globe, raising awareness for Science, Technology, Engineering, and Mathematics (STEM), along with teaching students aspects behind business and marketing, logistics, and media. We also participate in various community and school events. FRC Team 5599, participates in the annual FIRST® Robotics Competition (FRC). In a six week time span, we raise funds, design, and construct a fully-functional robot. In 2014, the team was awarded the Future Glory Award at the Brunswick Eruption 2014 off-season competition. In 2015, the team took home the Rookie Inspiration Award from the New York City 2015 Regional Competition. In 2017, the team was the leading alliance in finals at the Hudson Valley Rally off-season competition in Yonkers, New York. In 2018, the team played in the quarter-finals in the New York City 2018 Regional Competition on an alliance with specialized school Brooklyn Technical High School and Long Island City High School. Vice-Captain and Director of Marketing, Danielle Louie, was a Dean's Lists Award semi-finalist. At the 2019 SBPLI Long Island Regional Competition (#2), Nazifa Prapti was a Dean's List Award semi-finalist, and was also awarded the MVP Achievement in recognition of their "Individual excellence, contribution, and achievement" during the competition season. At the New York City 2019 Regional, Nazifa was a Dean's List Award finalist, one of the highest acclaimed awards in the entire FIRST Robotics program. The underwater robotics division also competes in the US Navy's SeaPerch competition as of 2018, placing 3rd in our first season. Loading blog content . . .
You can subscribe to our newsletter to get team updates, event insights, notifications on blog posts, and more! If you would like to make a monetary donation, you can click here to head over to our EdCo fundraising page. To form a partnership or make a physical donation, click here to head over to our Contact Us page where you can reach out to our Lead Mentor & Marketing Team.